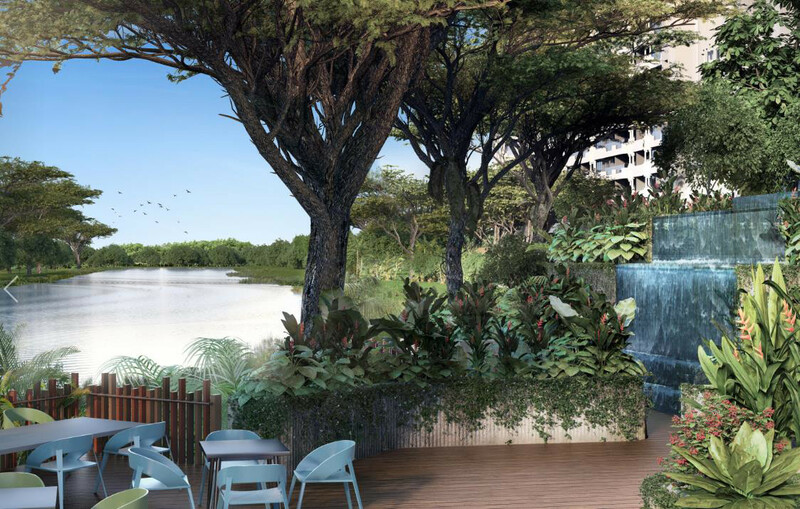 The Tre Ver condo is a new 729-unit waterfront development located next to Kallang River, that is poised to benefit from the government’s plans to transform the river into a lifestyle hub. Here is a home by the river, and by the city. 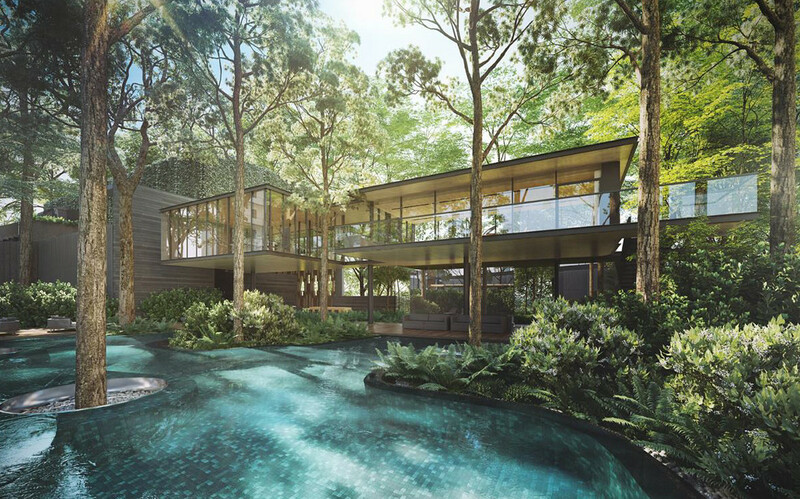 A private sanctuary for the family, coexisting in harmony with nature. 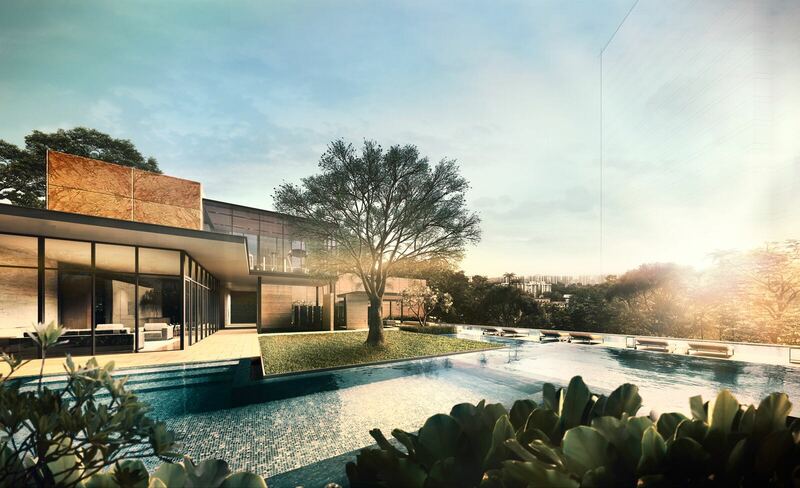 Designed by award-winning architects WOHA, it will truly be one of the most beautiful condos ever seen in Singapore. 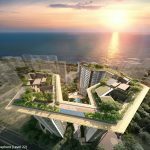 Even before sales open, it has already won two Asia-Pacific Property awards, for the categories of Architecture and Development. 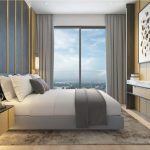 Living in the Tre Ver condo will be like living in a cross between Shangrila Hotel, and Parkroyal on Pickering, winner of several prestigious international design awards. Even the pictures here cannot really convey what it will be like. You have to experience it for yourself when it is built. In the meantime, the best way to get an inkling of that is to view the showflat. 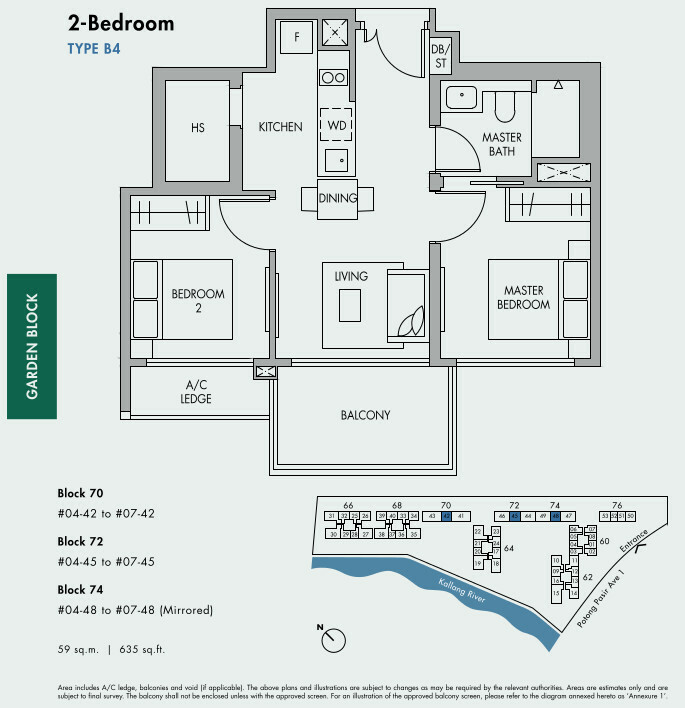 Sign up for a viewing appointment here. 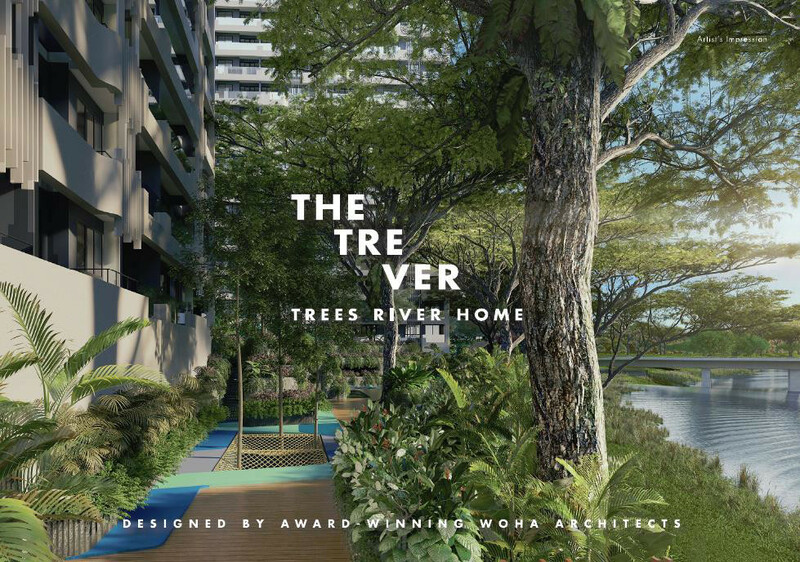 The Tre Ver will preserve most of the existing tall rain trees lining the the riverbank. 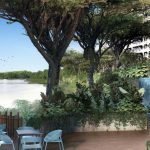 This natural landscaping extends into the Tre Ver condo – the blue of the river and the green of the raintrees are integrated into the design. You get homes that grow out of a beautiful landscape. 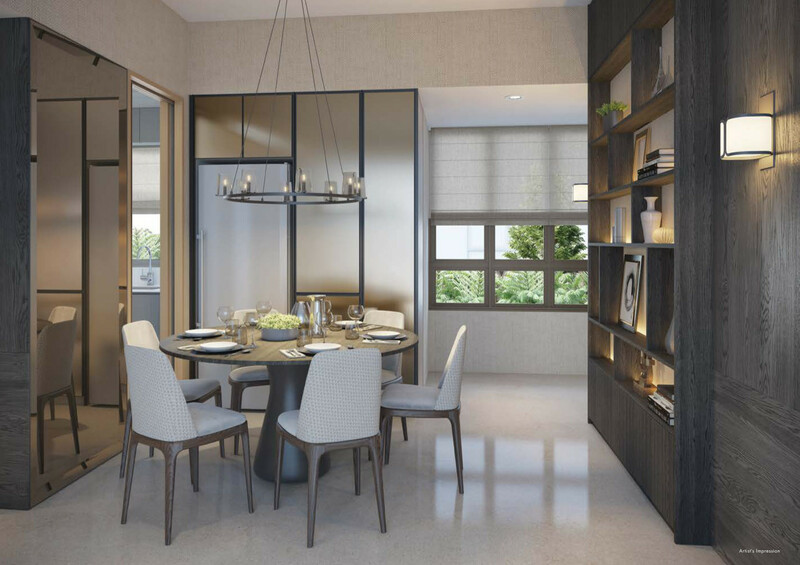 Practical convenient homes within walking distance to Potong Pasir MRT station and St Andrews School. 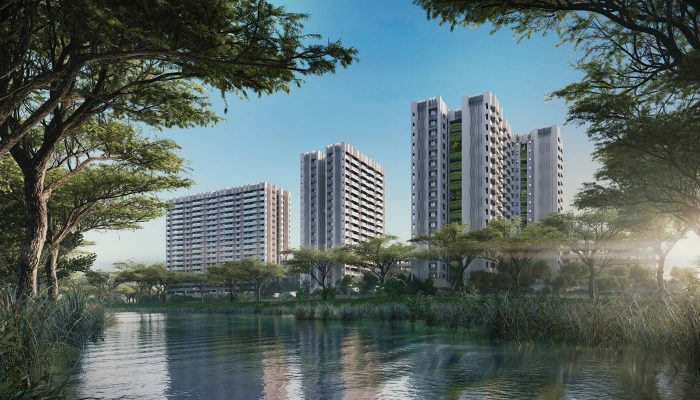 The Tre Ver is being developed by a joint venture of UOL (United Overseas Land) Group and UIC Limited. It will open for sale in July / August 2018. 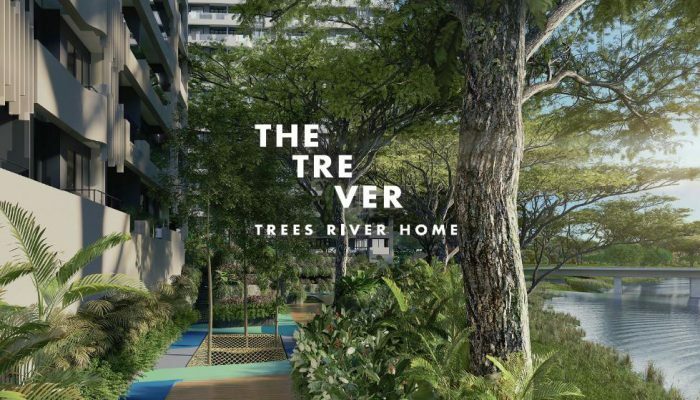 The Tre Ver comprises 9 blocks of differing heights, with tiers of greenery stepping down to the 220m width of direct frontage onto Kallang River. 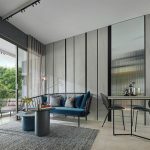 The architects, WOHA, have gained global recognition for their integration of environmental and social principles within their work, that have set benchmarks for sustainable design. 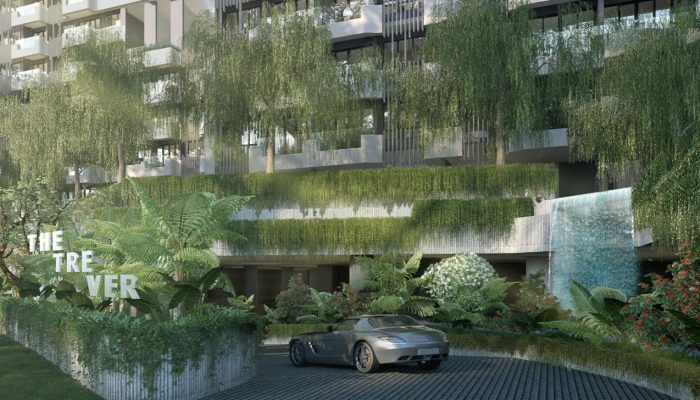 They are notable for their extensive use of natural vegetation as a building element, which ties in very well with UOL’s own design philosophy. 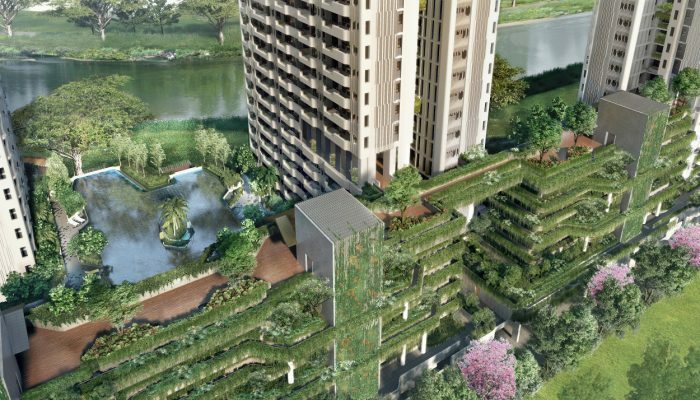 UOL has long been an advocate for ‘green’ practices, with a series of Masterpiece Homes. 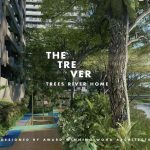 The Tre Ver condo will continue that tradition, with its preservation of the existing rain trees lining the waterfront. 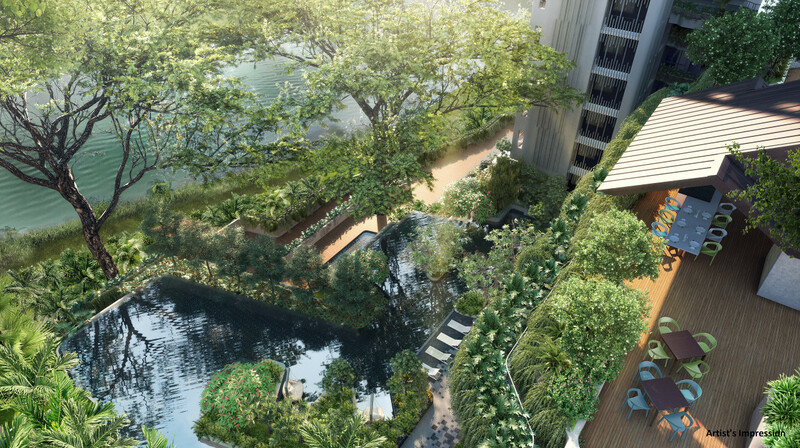 It will be characterised by lush landscaping & hanging greenery blending seamlessly with the riverfront promenade. 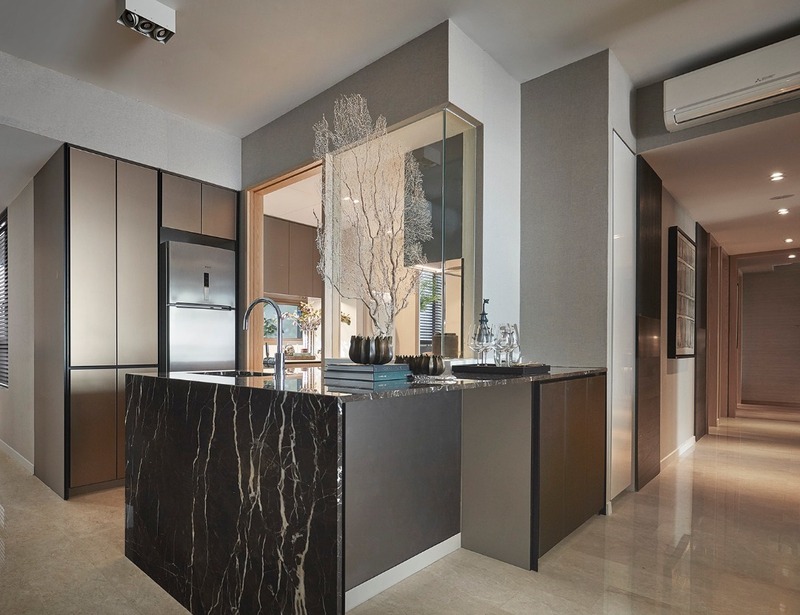 Potong Pasir is one of the most centrally located and popular residential estates now with home seekers in Singapore. 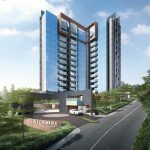 It is not only city-fringe, but is undergoing rejuvenation alongside the new Bidadari estate, with all the vibe, vibrancy, and freshness that a new town brings. 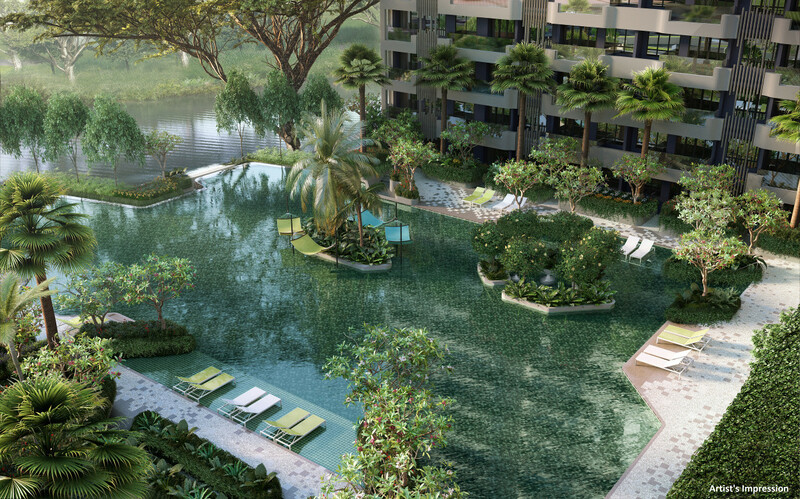 Bidadari is widely regarded as the next Bishan – with the same potential to lift property values around it. 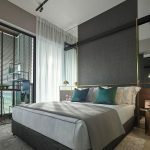 This has seen the successful launches of several new condominiums in the vicinity, such as Nin Residences, Sennett Residences, Sant Ritz, The Venue, with the most recent being The Poiz Residences (and Mall), all of which have sold out. The Poiz Mall will add to the amenities within walking distance of the Tre Ver Singapore. Besides that we have the Potong Pasir Community Club, that houses an NTUC Fairprice supermarket, a POSB bank, and a KFC fast food outlet. There is a MacDonald outlet too, and the HDB precinct next to it is liberally supplied with coffee shops and shops. Project Account UOB BANK FOR PROJECT ACCOUNT NO. 451-308-004-7 OF UVD (PROJECTS) PTE. LTD. 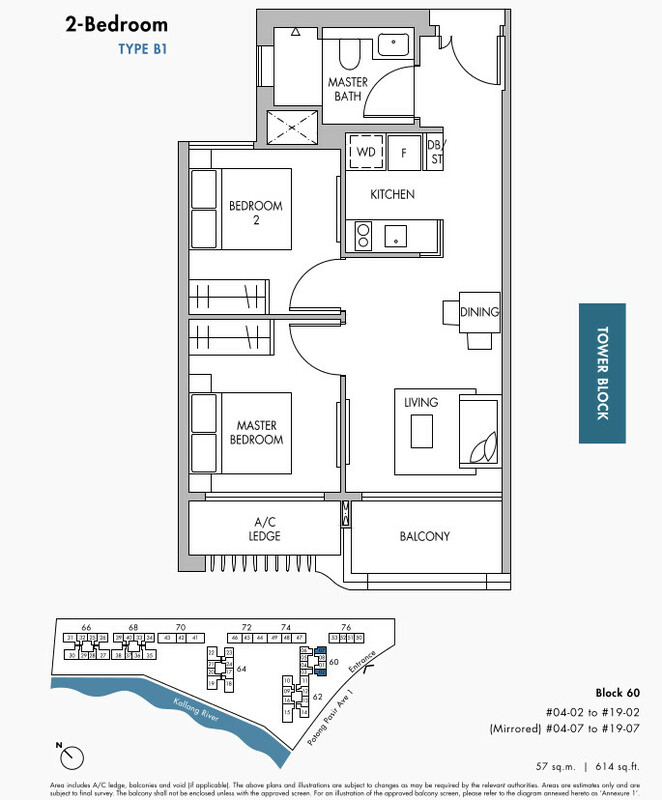 The full set of Tre Ver condo floor plans is now available. 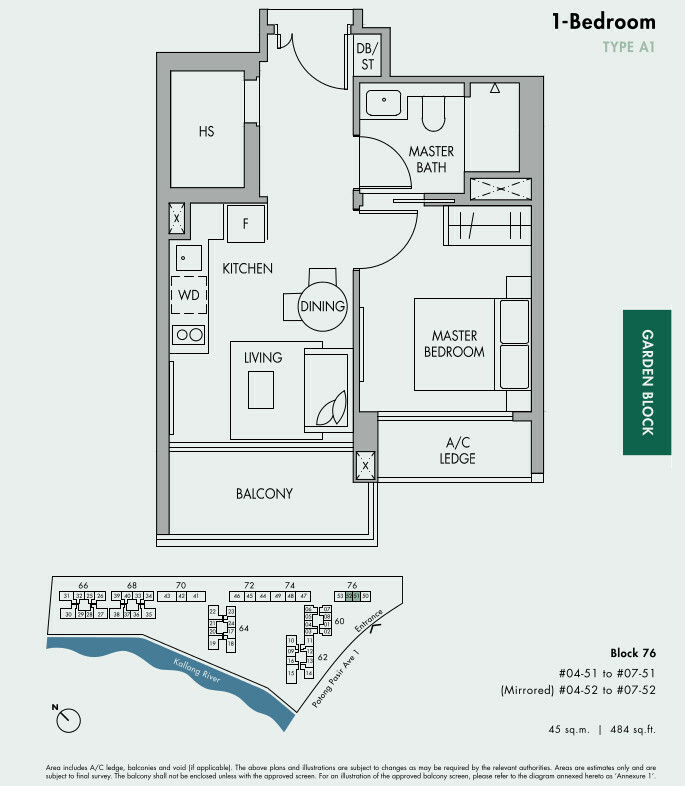 Kindly drop us a note via the Contact Form if you would like us to email you the Tre Ver floor plan brochure. 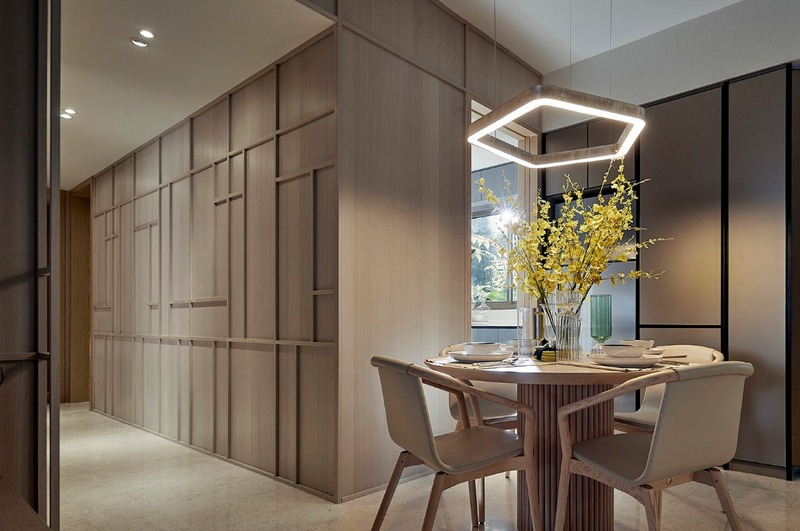 General ceiling height of 2.85m for main areas like living rooms and bedrooms; 2.4m for kitchens, corridors, bathrooms. Windows come with low-E (low emissivity) glass. 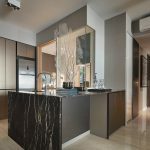 Marble flooring in living / dining areas. 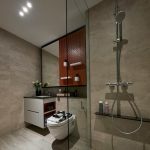 Porcelain tiles to kitchens, balconies and bathrooms. Solid timber flooring and skirting in bedrooms. 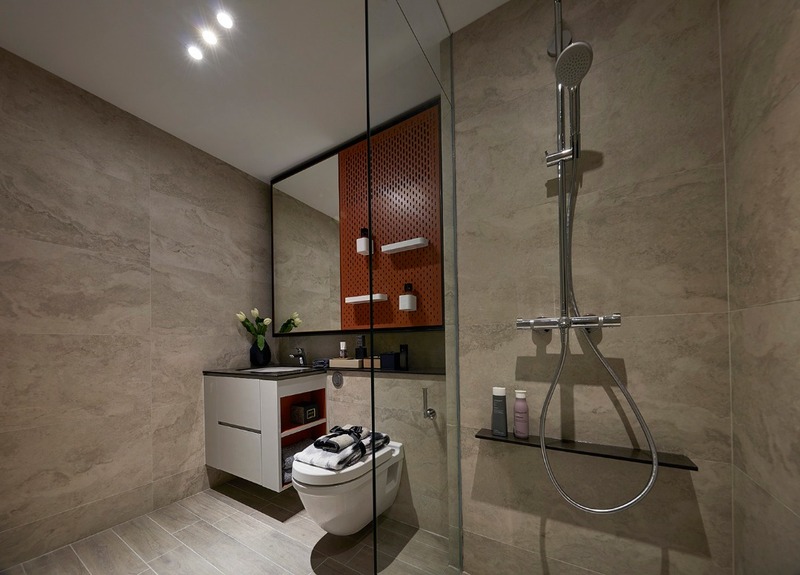 Fully appointed bathrooms with fittings from Hansgrohe & Duravit. All white goods provided in kitchens – Bosch appliances and Franke mixers. 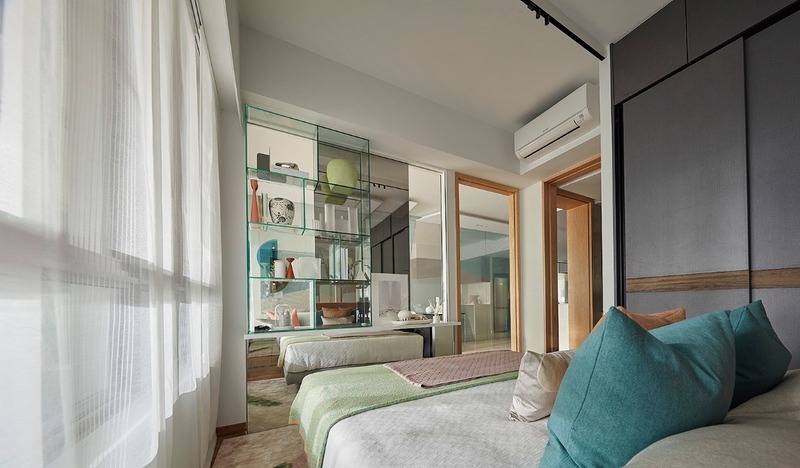 Smart Home Control System for access via digital lockset & control of air- conditioning. 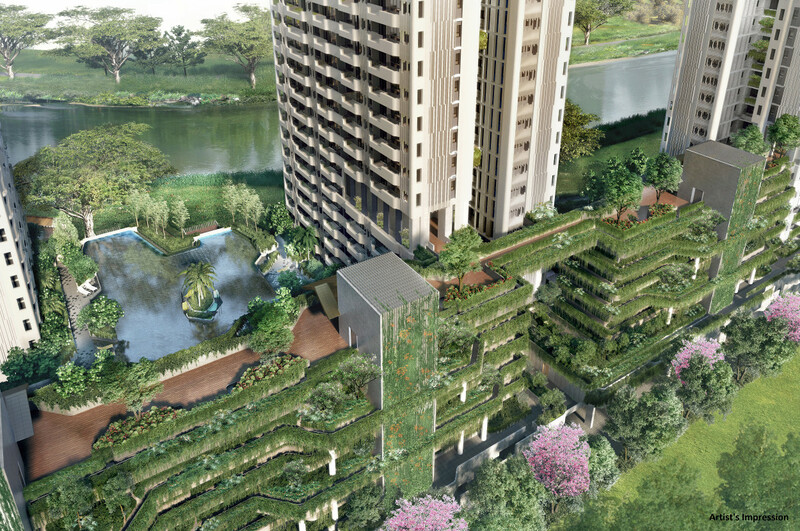 260 of the units come with a lovely feature – a green foyer, as seen at the showflat. 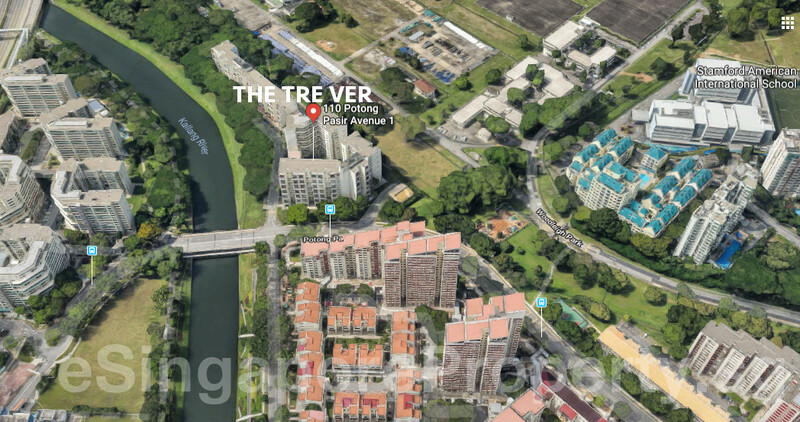 The Tre Ver site is a longish, triangular plot of land beside Kallang River as it passes through Potong Pasir estate. 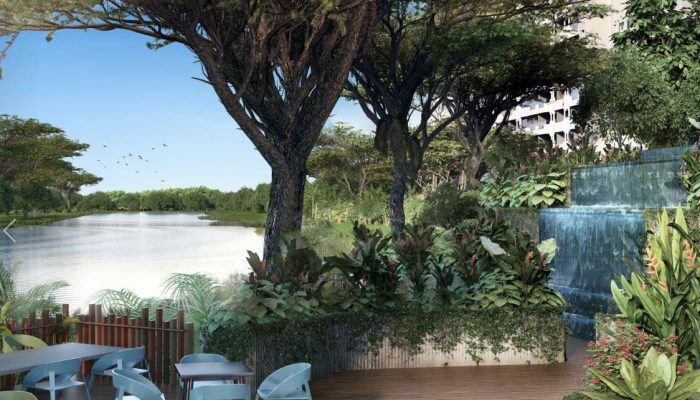 On its west, is a 220 metre long boundary that looks directly onto the river, unblocked except for the mature Rain Trees bordering the park connector running alongside the river. Units facing this side will get views of the river. 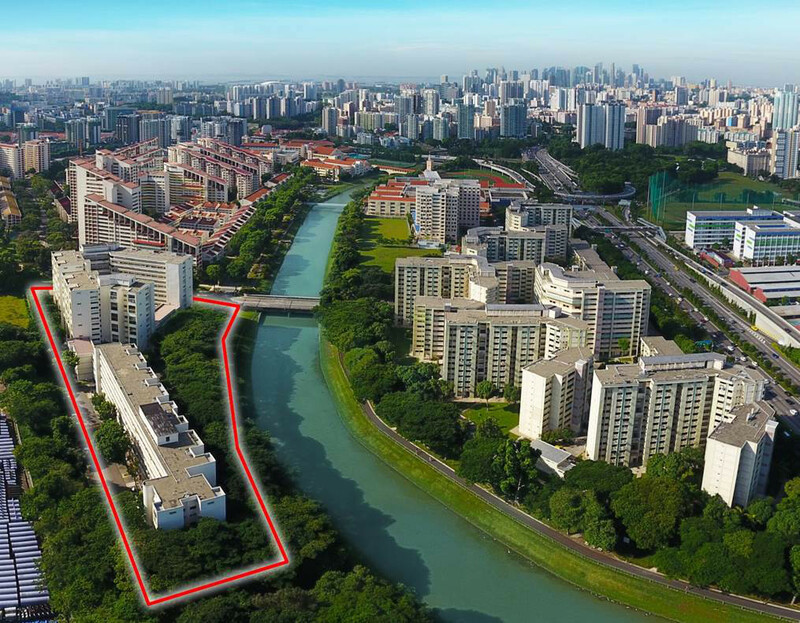 On the south of the Tre Ver site is a HDB estate, with its distinctive sloping roofs. This is where you can walk across to some neighbourhood shops. To its east/north east, is relatively empty land with open views, looking towards Woodleigh Park. 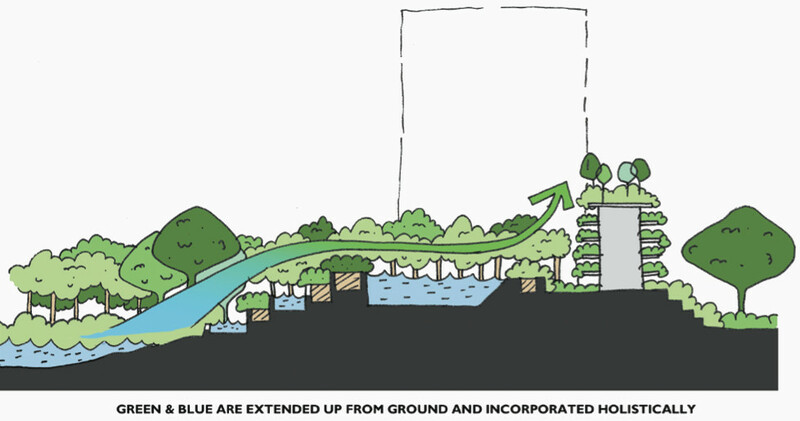 The Tre Ver site is sculpted into 3 tiers of “ground levels”. 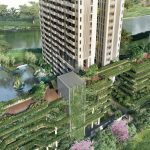 Starting from Tier 1 at the 2nd storey – the Raintree Valley by the river, featuring 12 mature Rain Trees standing 30m tall. 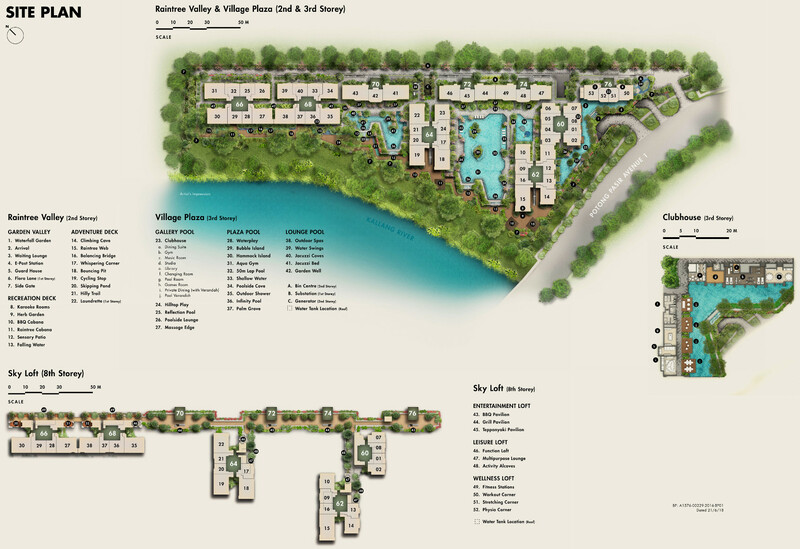 Then up to the 2nd tier – the Village Plaza at the 3rd storey, with 3 water courtyards where the pools and clubhouse are. 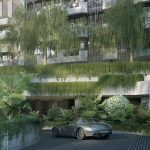 And then Tier 3 – the Sky Loft at the 8th storey, on the roof of the Garden blocks, with 6 metre (2 storey) high ceilings where covered. Practically every unit has a view. 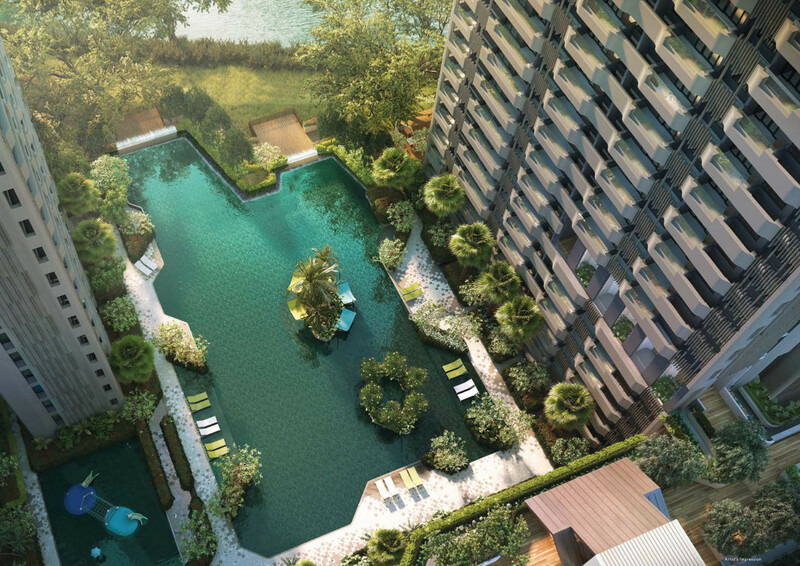 Either a pool or river, or greenery view. 82% of them actually get a river or pool view. 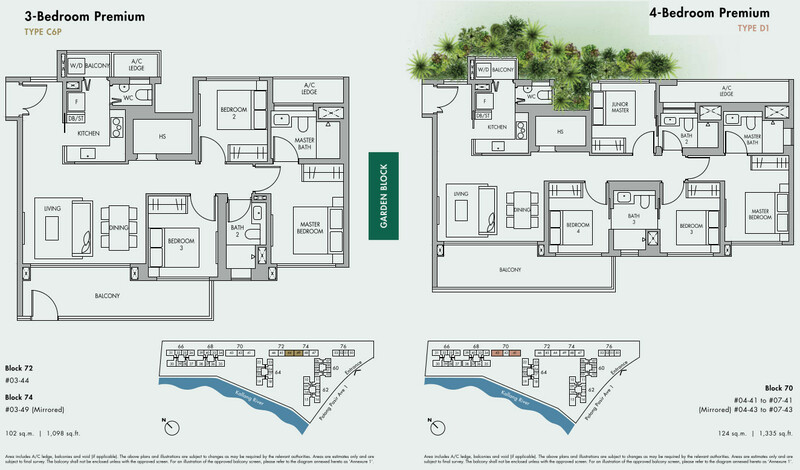 The Garden block units are special – they get both water and garden views as they are single loaded. The blocks are a minimum of 40 metres apart, and the carpark is at ground and 2nd level, below the raised tiers. Just driving in, at the main entrance, is an experience in itself. 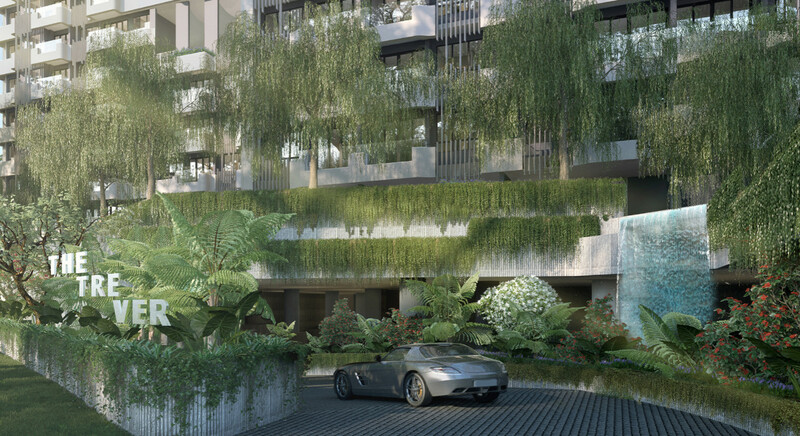 With the hanging garden and waterfall, like driving into a high-end hotel. 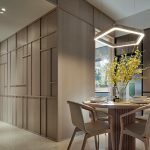 The Tre Ver condo showflat is now taking viewing appointments. 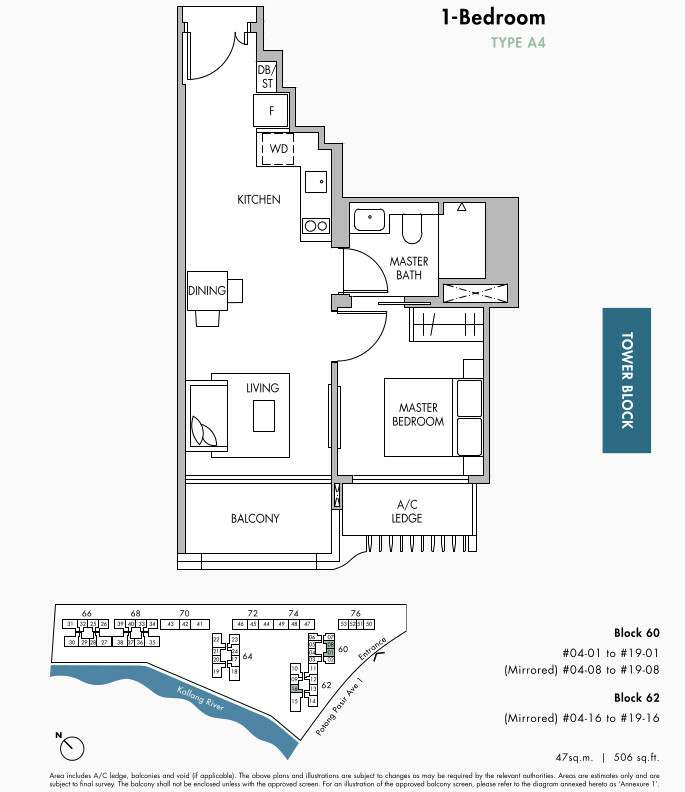 Please let us know through the Contact Form if you wish to book a viewing of the Tre Ver showflat. Listed below are the Tre Ver price ranges as at 12 November 2018. 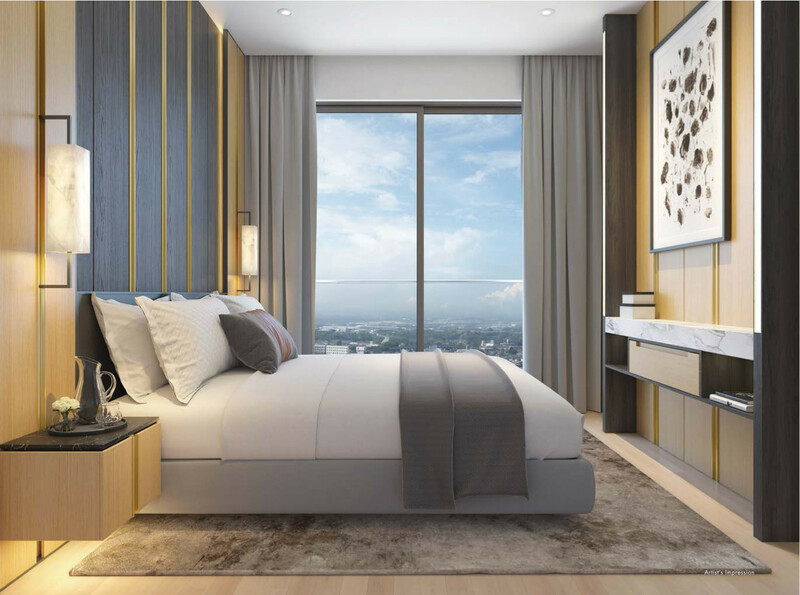 Kindly drop us a note via the Contact Form if you wish to know the latest prices or to view the showflat. 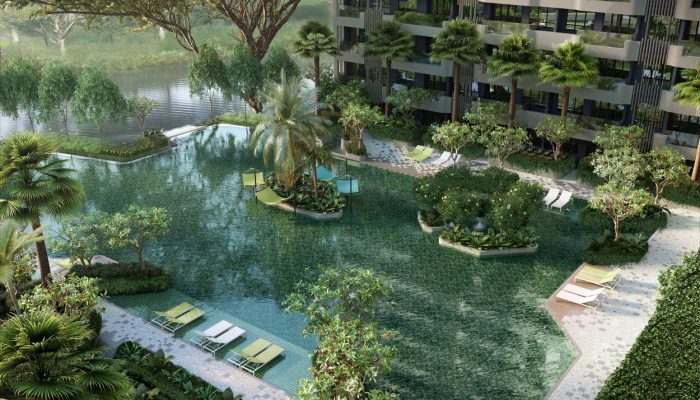 UOL Group bought the Raintree Gardens site for SGD$334.2 million. On top of that, a differential premium of $115.3 million was payable to the State to top up the lease to a fresh 99 years, and for intensification of the gross plot ratio to 2.8. 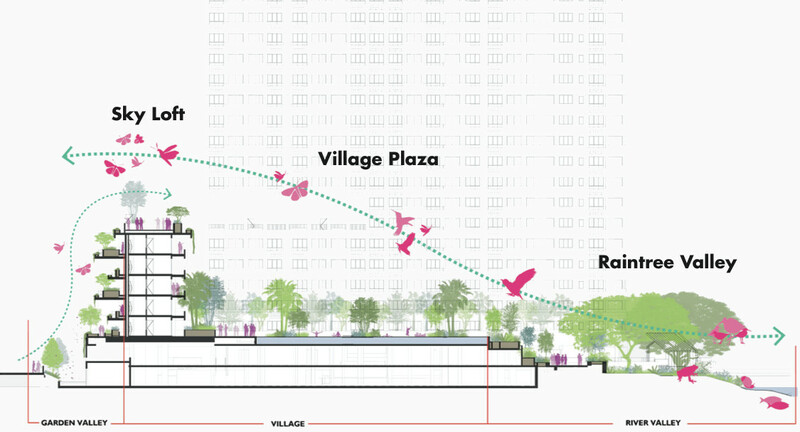 The total worked out to a land rate of roughly SGD$797 psf per plot ratio (PSF PPR) on the allowable gross floor area. 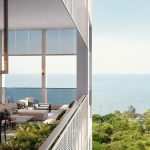 Adding construction costs and overheads including financing, we have a break even cost of around $1,350 PSF. The above projected starting price of around $1,5xx PSF upwards for Phase 1 of the launch offers good value, measured against the $1,8xx PSF pricing for competing launches in the vicinity. 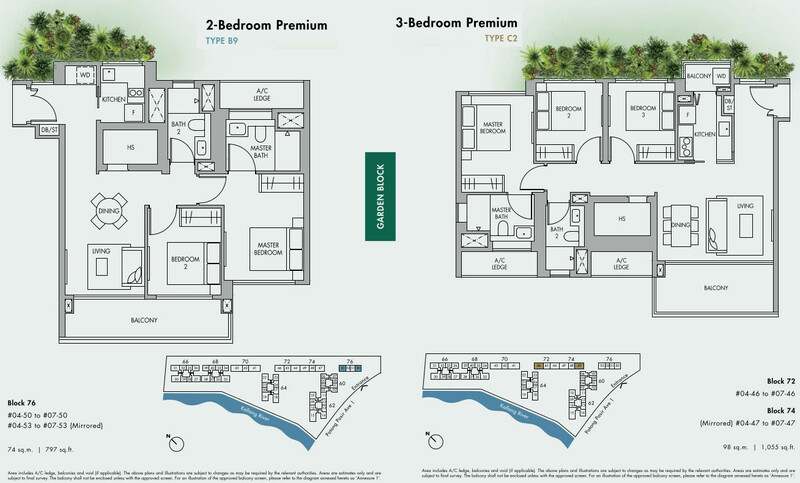 Early buyers who take advantage of the Phase 1 pricing will stand to benefit. 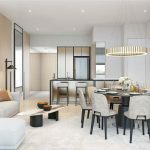 The Tre Ver Singapore is being developed by a 50:50 joint venture between UOL Group Limited and United Industrial Corporation Limited. Both are very experienced, reputable brand name local developers. 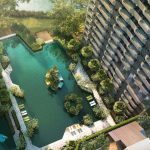 UOL Group is one of Singapore’s most established real estate companies, with a big portfolio of investment and development properties. The Group was founded as far back as 1963, with a strong commitment to excellence & quality work that can be seen in their many projects. 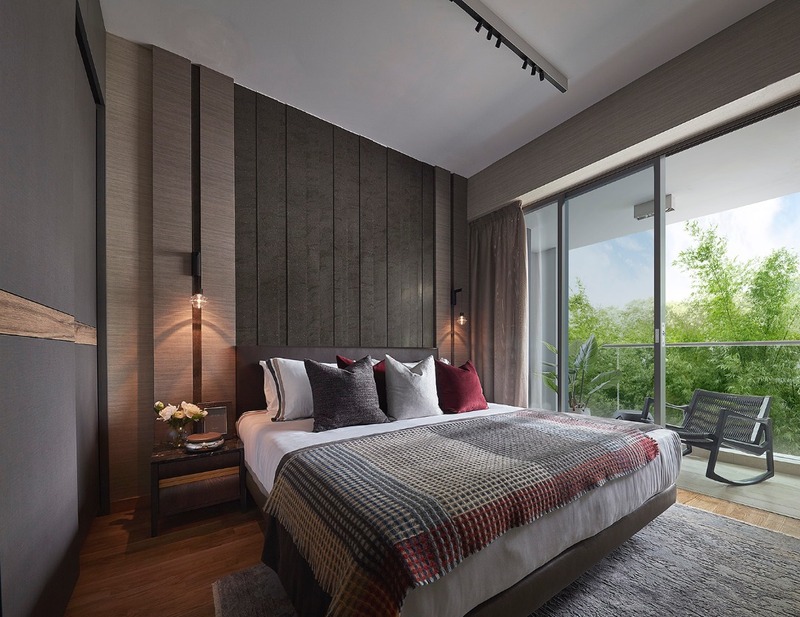 This has won them a string of awards, such as the FIABCI Prix d’Excellence Award, the Aga Khan Award for Architecture, the Urban Land Institute Awards for Excellence, and the President’s Design Award. 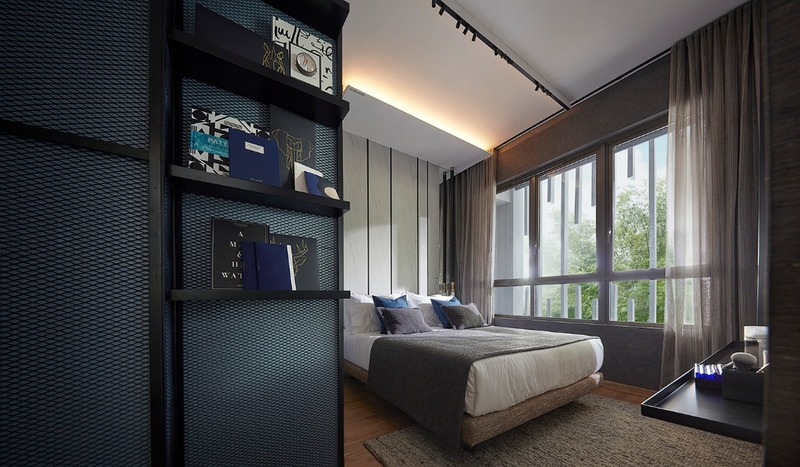 UOL’s portfolio ranges from residential apartments, to offices, retail malls, hotels, restaurants & spas. 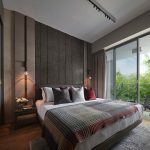 They own or manage more than 30 hotels, resorts, and serviced suites in North America, Oceania, and Asia. 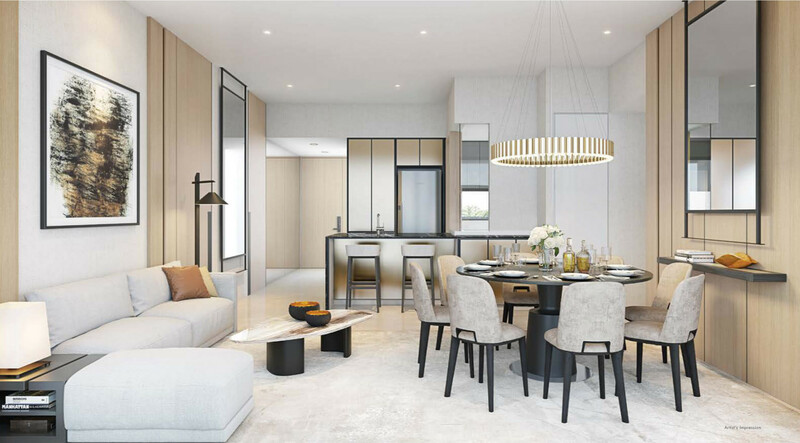 Among their many local developments are Spottiswoode Residences, Nassim Park Residences, Duchess Residences, Terrene @ Bukit Timah, Seventy St Patricks, Waterbank @ Dakota, One Amber, One-North, Katong Regency, and Meadows @ Pierce. UIC was incorporated in Singapore in 1963 as well. 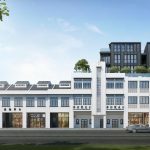 Its core business is property development and investment, and with the acquisition in 1990 of Singapore Land Limited, a well-established property company, UIC became a major real estate player. 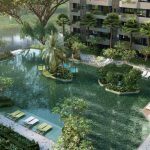 The Group’s portfolio features some of Singapore’s most well known commercial and retail landmarks, and residential developments. 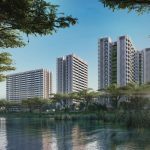 These include Marina Square, Tampines Plaza, The Gateway, SGX Centre, West Mall, Singapore Land Tower, 5 Shenton Way, Clifford Centre, and ABACUS Plaza. 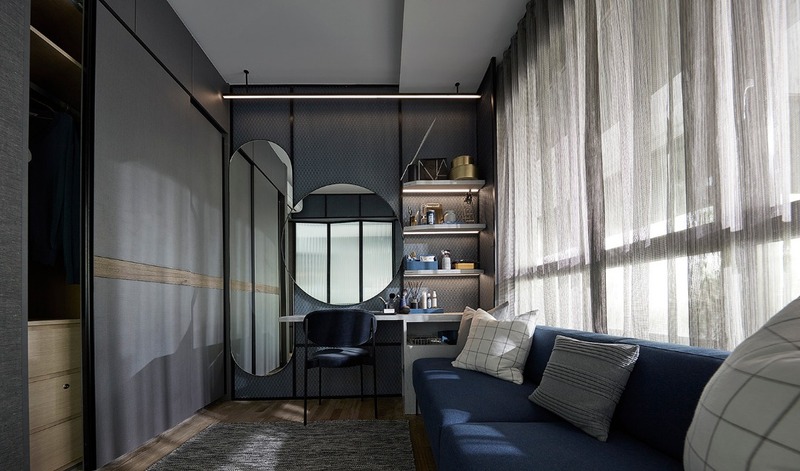 Its residential developments include V on Shenton, Alex Residences, Archipelago, Thomson 3, and Clement Canopy, the last three in conjunction with UOL. 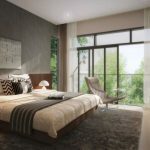 Overseas, it has investment properties in China and the UK. Location. 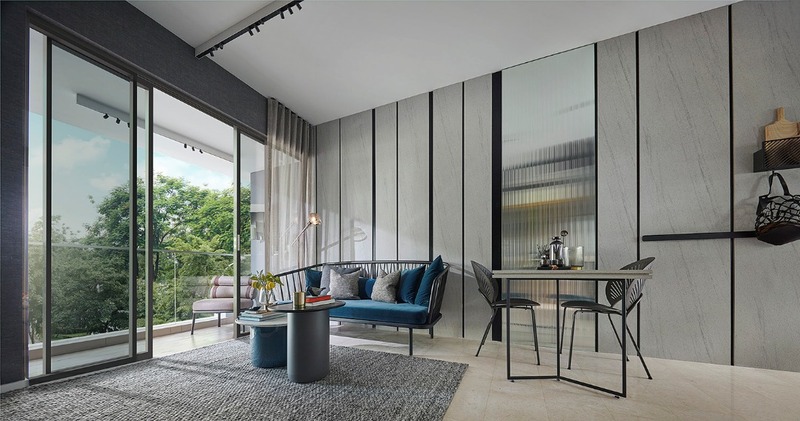 The Tre Ver location offers you a home on the city-fringe in Potong Pasir estate, within 10 minutes drive of Orchard Road and the CBD. 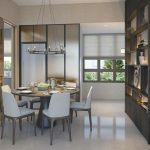 Condominiums around this area tend to sell out quickly due to their proximity to the city centre and to good schools and amenities. Shops, Banks, F&B, Supermarkets. 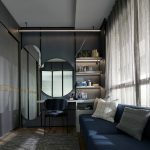 5 to 6 minutes walk to the Potong Pasir Community Centre, that houses a fast food joint, bank, and NTUC Fairprice supermarket, surrounded by a food centre and a liberal sprinkling of coffee shops and stalls. 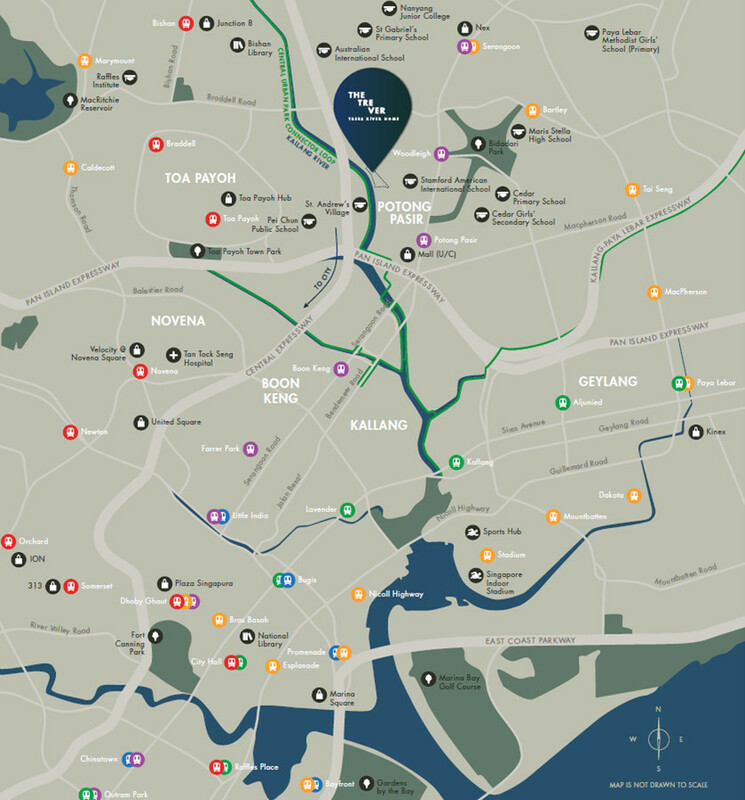 A further couple of minutes walk from that is the new Poiz Centre with its 7 restaurants and 77 shops. 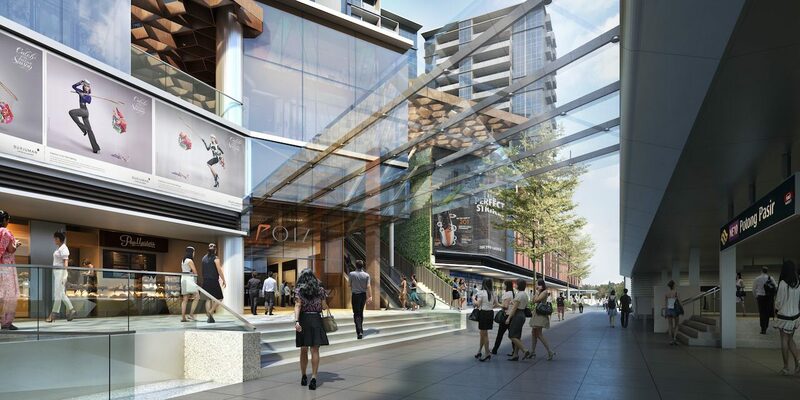 Across the MRT underpass, you get The Venue Shoppes, a small shopping centre with 28 retail units. And not forgetting the old hawker fare at Tai Thong Crescent behind The Venue. Lifestyle Amenities. 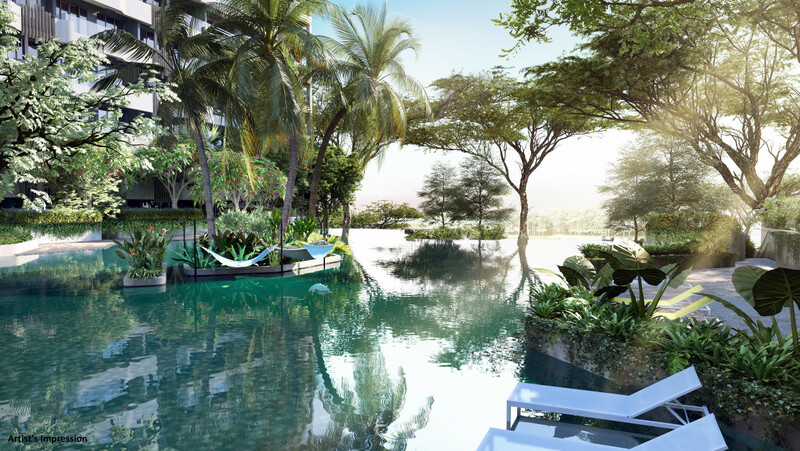 Being so near Bidadari Estate means that the Tre Ver condo residents can enjoy its amenities too. 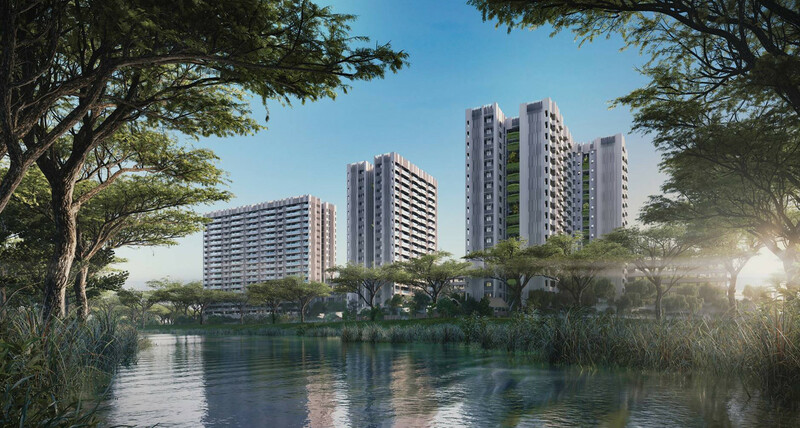 There will be Woodleigh Mall, with Alkaff Lake and the sprawling Bidadari Park. 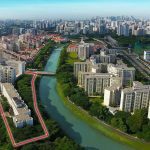 And of course, there is Kallang River right on its doorstep with the Kallang Park Connector as a recreation option. 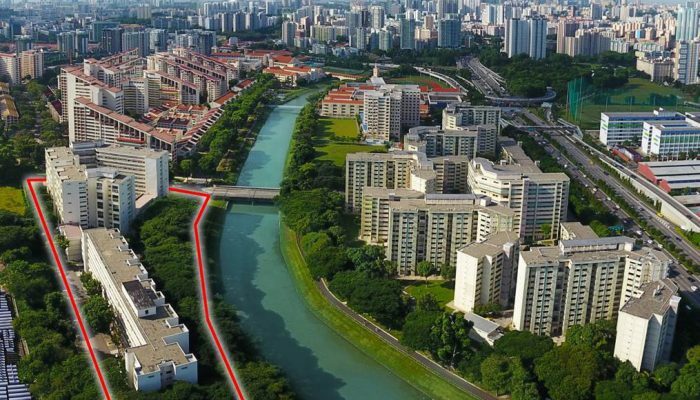 Makes a lovely jogging trail, or you can cycle all the way to Bishan-Ang Mo Kio Park, or southwards to the Kallang Riverside Park and seafront. Schools. 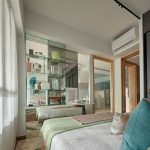 This place is ideal for families with young boys, as Saint Andrew’s Junior (easily within 1 km) and Secondary Schools, and Saint Andrew’s Junior College, are all within 5 to 6 minutes walk. If you have girls, Cedar Primary and Secondary Schools are within 2km, just outside the 1km range. 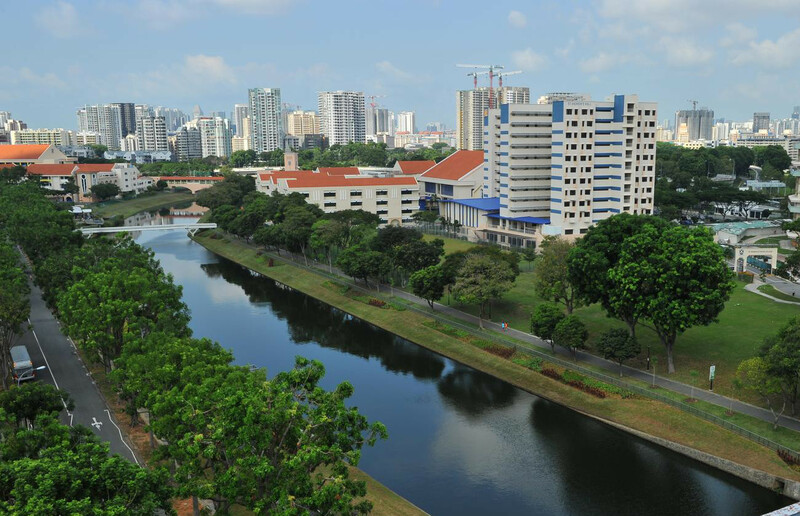 Both are among the most highly regarded schools in Singapore, with a long tradition of holistic care. Interestingly, as the crow flies, the Tre Ver location is pretty close to the Stamford American International school. Nearest MRT Station. 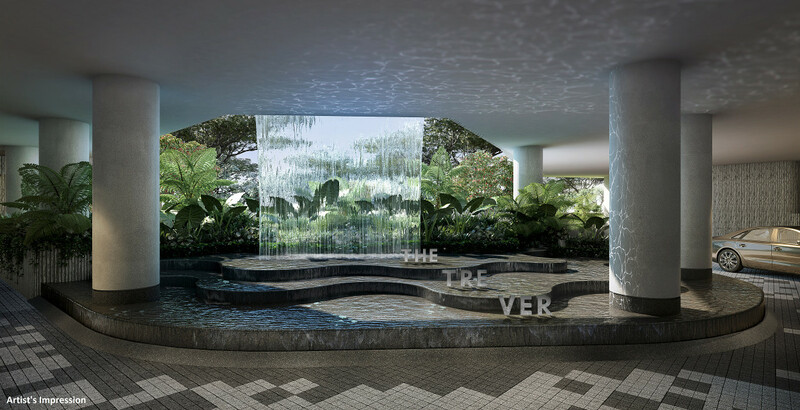 The Tre Ver condo location is 600m, or 9 minutes walk, to Potong Pasir MRT station on the North-East Line. From here it is a 10 minute ride to Orchard Road. 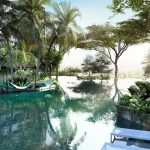 A 5 minute train ride will also bring you to Serangoon MRT interchange station, and Nex Mall, the biggest shopping centre in the north-east of Singapore. 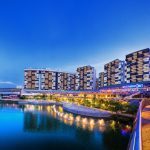 Houses an NTUC Fairprice Finest supermarket, and a wide range of shops, food & lifestyle outlets, banks, pharmacies and so on. Accessibility. The Tre Ver location is rather central. 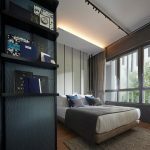 Besides being a 10 minute drive from Orchard Road and the Central Business District, it offers quick access to the PIE (Pan Island Expressway) and CTE (Central Expressway), which makes it pretty convenient for getting to just about everywhere else.